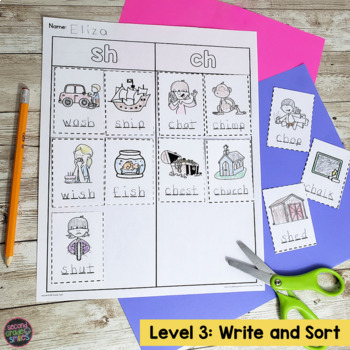 These cut and paste spelling printables are a great way for your students to practice blending, segmenting, spelling, and sorting words beginning and ending with ch, sh, th, and wh digraphs. Includes 21 sorts in all! 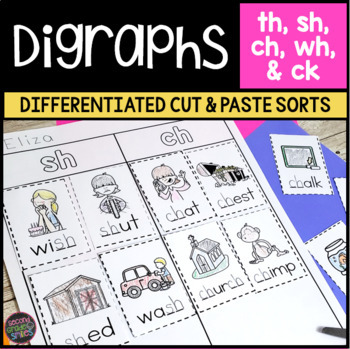 CCSS.ELA-LITERACY.RF.1.3.A: Know the spelling-sound correspondences for common consonant digraphs. 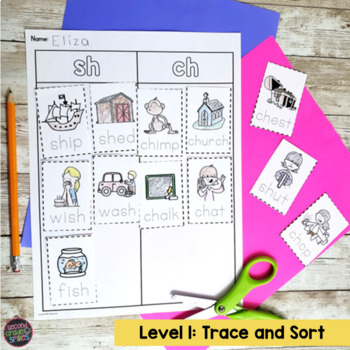 CCSS.ELA-LITERACY.RF.1.3.B: Decode regularly spelled one-syllable words. 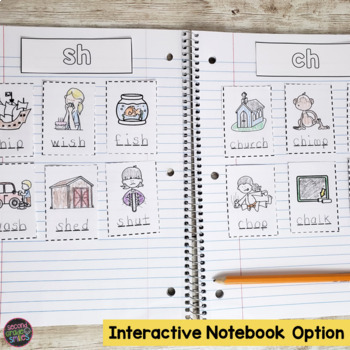 CCSS.ELA-LITERACY.L.1.2.E: Spell untaught words phonetically, drawing on phonemic awareness and spelling conventions. CCSS.ELA-LITERACY.L.2.2.D: Generalize learned spelling patterns when writing words (e.g., cage → badge; boy → boil). If you enjoy this product, please consider following my store. I post new products and freebies regularly! You can contact me with any questions or requests at secondgradesmilesstore@gmail.com.